I had the wonderful opportunity to serve in North East Frontier Agency after Indian Army's victory in Bangladesh. I had camped at Walong visiting troops. 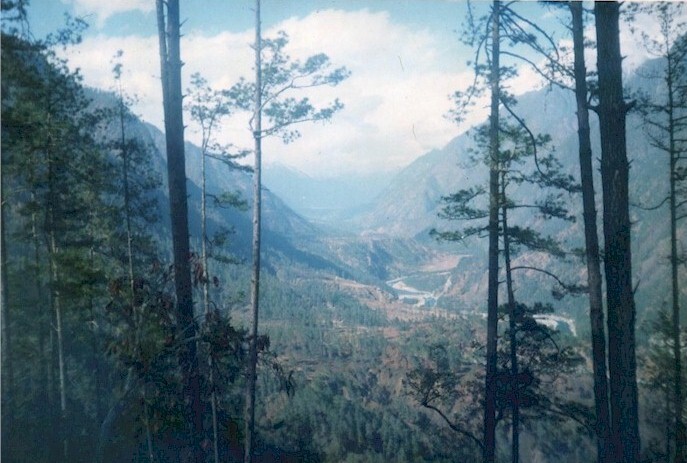 A view from a hill top near Walong, Arunachal Pradesh. 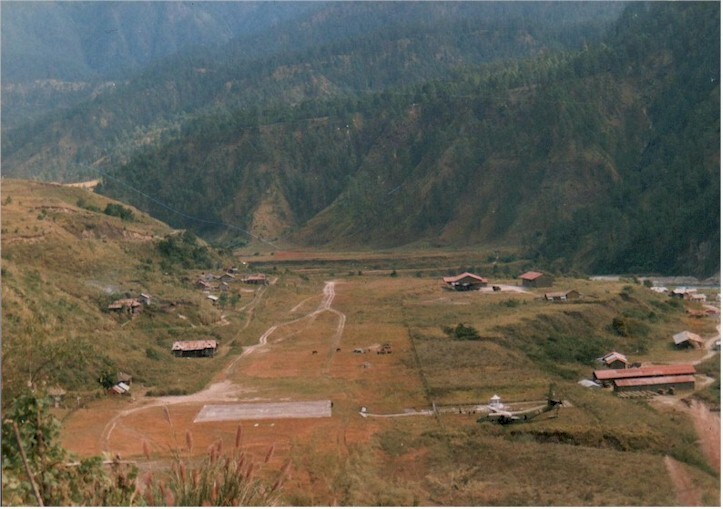 During 1962 Chinese aggression Indian Army had valiantly resisted the enemy's attack in a historical battle at Namti Plains, near Walong, Arunachal Pradesh. 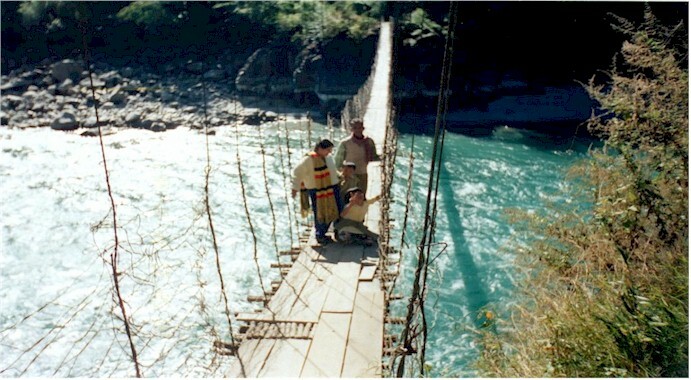 Suspension bridge across Lohit River near Chigwinti, Arunachal Pradesh. 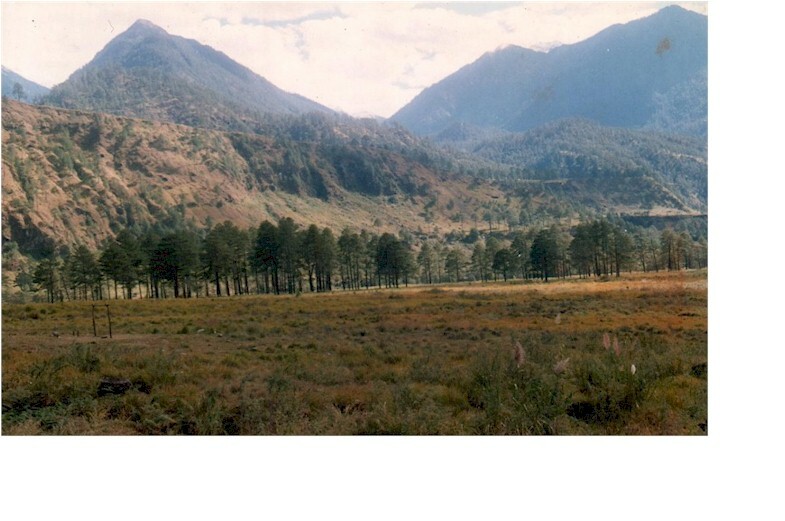 This is a picture taken at Headquarters 'D' Sector, prior to my visit to Chigwinti, and Walong. 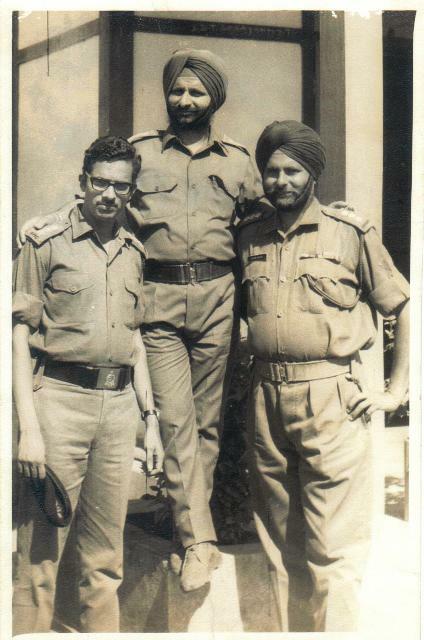 I am seen here along with Major Deedar Singh, the Unit Adjutant, and Captain Roop Singh an Assistant Company Commander standing in the middle. This entry is dedicated to the memory of those brave men who gave their precious lives fighting the massive Chinese aggression in 1962.I experienced the traditional Indian hospitality at a forward Company location in Arunachal Pradesh(North East Frontier Agency) and my memories are fresh after a lapse of nearly 35 years and the reason is that I still feel the same passion to serve our men who fight for our country. Let us keep our collective memory afresh and pay tribute to these loyal sons of our land. Hospitality is a fairly popular tradition for a variety of cultures across our globe. In India the tradition was well established a long time ago and we elevated it to a degree which may not be seen anywhere else in this world. The Vedic statement ” Athiti Devo Bhava ” is a thought that was expressed only in our land. The word ‘Athiti’ defines the guest as a person who could show up at your home without a prior notice or formal invitation and on a day and time of his own choice. Our literature is full of stories about this great tradition of hospitality and the episode described in the story of MAHA BHARATA shows the importance of preserving this tradition. Princess Draupadi was overwhelmed by the arrival of a large number of guests , while she and the Pandava brothers lost their kingdom and were living in the forest. She did not want to fail in her duty of being a good hostess. She was desperate and she met this challenge by earnestly praying to Lord Krishna. Upholding the principle of hospitality is very important to Lord Krishna and He gracefully provided the help Draupadi needed to serve her guests in accordance with our DHARMA(Right Conduct). Her adherence to the tradition of hospitality truly defines the Indian Identity. Most of you would have experienced some act of hospitality or the other and I want to narrate a simple act of hospitality that I had experienced at CHINGAWANTY ( or CHIGWINTI ) in Arunachal Pradesh and would take this opportunity to speak of my memorable experience at this forward Company location and describe this as our Indian Identity. The Company Commander Major.G B Valenkar was the recipient of VIR CHAKRA award for his role in the Liberation War of Bangladesh in 1971 and at that time we had worked together in the same Unit. He had briefed me about the traditional hospitality of the men of his Company. Before the dinner was served, he told me that the men would continue to serve food till such time I would announce that I am fully satiated and that I need no further servings. Then,they would bring one more final serving to ensure that I am truly satiated and well fed. I wanted to test them and find out for myself their devotion to their hospitality tradition. After dinner was announced, I mentioned my preference for bread. Instead of ‘chapatis’, I told them that I would like to be served with ‘purees’to go with my meal. The dishes were served piping hot and the purees were made one after the other and a fresh serving would arrive just before I would finish the previous serving. The food was delicious and the mountain weather was cool and refreshing and I was young and had a healthy appetite. I continued eating while having a pleasant conversation with Major.Valenkar and after several servings, the man stood before me respectfully and had asked me to grant him some additional time before he could bring forth the next serving. He mentioned that the cook had run out of the dough he had prepared for the evening meal. I responded saying that I really need no further servings and asked him not to bother about preparing more dough. The man submitted that it would not be fair on my part to stop him at that juncture and stated that I could only stop him from serving only at a time when he is able to provide more servings. In Indian tradition, the guest is also expected to give his host a reasonable opportunity to fulfill his obligation and the host has also a right to derive a sense of satisfaction by observing the rules of hospitality. I had to concede and in a little while, he resumed his service. After eating to my heart’s content, I had told him that I am really satiated. He agreed to bring in the final serving and he passed in the test and he did not give up until he made sure that I am fed till such time that I am fully fed. I am speaking of this hearty meal to just give you a chance to taste the passion that keeps us united and we relished the opportunity to serve our land and defend its traditions. Yevam samchintya bhumjaano,drushti doshie ranlipyatey. The above verse is asking us to consider both, the meal, and the guest who is partaking the meal as God. Deepena saadhyatey sarvam,Sandhyaa Deepa Namostutey. Deepam Jyothi Param Brahma - Light and Ultimate Reality Indian Tradition recognizes 'Light' as the manifestation of Ultimate Reality known as Param Brahma and Indians worship all sources of light including that of a light bulb. This light bulb appears lit. What is the source of its energy? 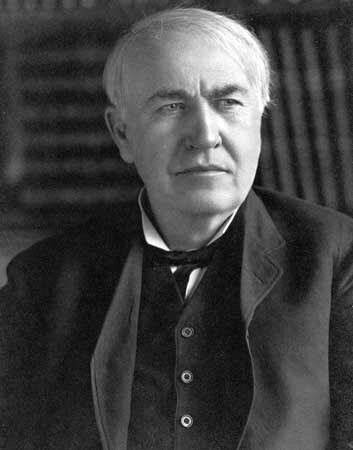 Thomas Alva Edison - A Great Inventor of Modern Times. His invention has connected me to my Indian Identity. Firstly,I want to give my thanks to Mr.Thomas Alva Edison,the great American inventor.He is most famous for his development of the first commercially practical incandescent lamp(1879).Perhaps his greatest contribution,however, was the development of the world’s first central-electric-light-power station.We owe him thanks for making the human existence pleasant and comfortable. 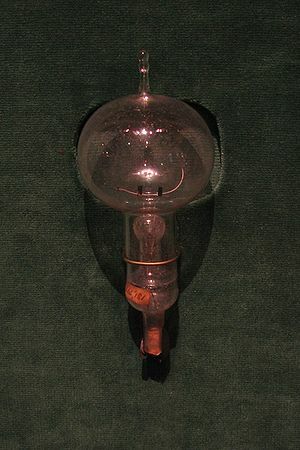 I also give my thanks to Nikola Tesla who is indeed the Genius Who Lit the World. 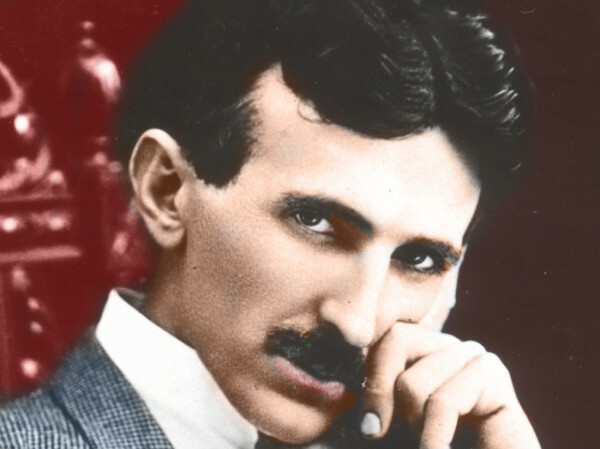 While speaking about Light and Electricity, I also pay my homage to Nikola Tesla, The Genius Who Lit the World. What is this ‘Light Bulb‘ connection that may define the Indian Identity? I grew up in India. People visit a variety of temples to worship and to seek the presence of God.They do that at homes as well.When I was a boy, one of my early observations was that, in the evening hours as it gets dark after the sunset, when I flip the switch to turn the light on, my mother would pay respects to the light bulb. It is almost like a reflex behavior. I had asked my mother about it.The instant the light bulb comes to life, it becomes a source of light and being a source of light, it would represent God. My mother had told me that she would be reminded of God’s presence when the light bulb is switched on. My grandmother had also done the same thing.We worship the light bulb as it gives us the awareness and makes us conscious of the reality of God. All living entities are ‘CONSCIOUS’ and are aware of their existence and their living environment. Living Entities are also ‘CONSCIOUS’ of the Creator. The legend at Sri Kalahasti establishes the awareness of creatures like a spider, a snake, and an elephant and their desire to seek the LORD. 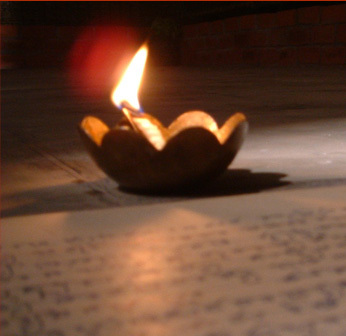 Light or JYOTI in Sanskrit language represents the ETERNAL REALITY. Jyoti is our conscious, its our awareness and it connects us to the Creator.This consciousness permeates all entities that are created and it includes all the five elements of Mother Nature. Consciousness is a function which enables a living organism to be aware of its own state of existence and to maintain that state of existence. Living organisms are aware of their need for an external source of energy to sustain their state of existence. Living organisms exist as ‘Energy Seekers’ and to exist they need connection with a ‘Energy Provider’. Consciousness is a biological function which establishes the connection between ‘Energy Seeker’ and ‘Energy Provider’. Because of this awareness, all entities would recognize and respond to their Creator, the Prime Source of Energy and the Controller of Energy. In the Old Testament Book of Exodus, Chapter 14 narrates the story of Moses leading children of Israel on dry ground in the midst of Red Sea. The Old Testament Book of Exodus, Chapter 14, verse 16 :"But lift up your rod, and stretch your hand over the Sea and divide it. And the children of Israel shall go on dry ground through the midst of the Sea." Water one of the five elements of Nature has ‘awareness’, or ‘conscious’ of its Creator. 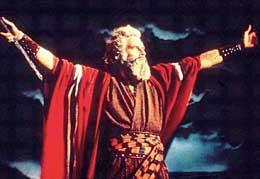 Otherwise, how could Moses lead his people to ‘The Promised Land’ across the Sea?. 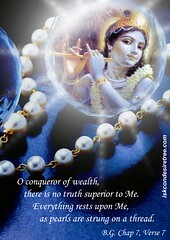 It is not just humans who possess the awareness of God. 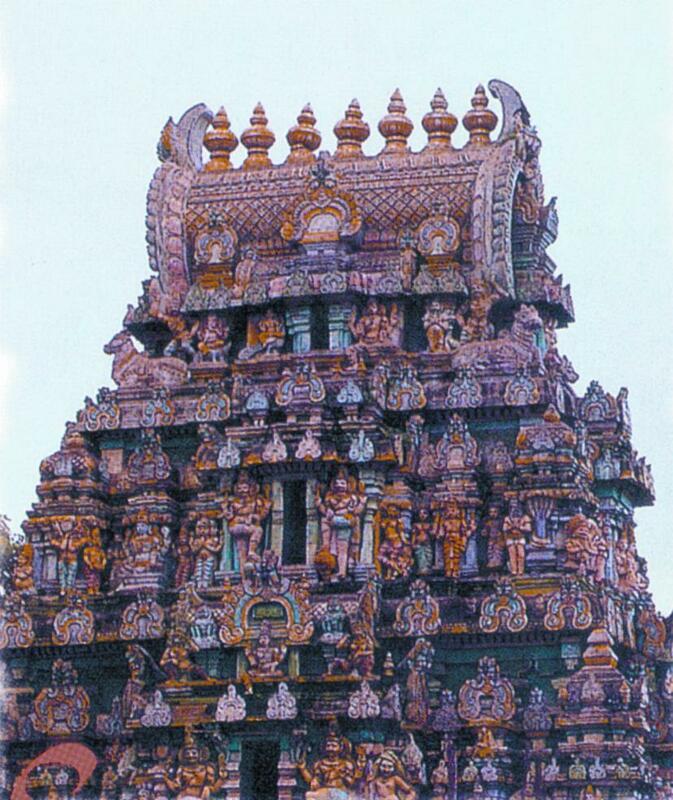 In India, in the State of Andhra Pradesh, there is a beautiful town known as SRI KALA HASTI. According to legend, at this place, a spider, a snake, an elephant, and a man had worshiped Lord Shiva with an excellent sense of devotion. Indians light up a lamp as a ritual to worship a deity of their choice. In several parts of the world and in various cultural traditions, the use of light is prevalent and is a part of ritualistic worship. In the Land of India, light is not only used as part of a ritual but also is directly worshiped with the belief that light represents God. Light is also worshiped in a personal form known as JYOTI, the sister of SKANDA and the daughter of Lord Shiva and Mother Parvati. DEEPAM, JYOTHI, OR LIGHT REPRESENTS GOD. The personification of light is Goddess Jyothi, daughter of Parvati, the Divine Mother. The above is a prayer to lead us towards Right Conduct,to lead us from darkness towards LIGHT(ETERNAL REALITY) and to lead us from death towards Eternal Life. It is easy and simple to know the Indian Identity. Flip that light switch and let the ‘Light Bulb’ connect you to the Reality. The First Book of Moses called GENESIS, Chapter 1, verses 2, and 3 describe the creation of Light : Then God said, “Let there be light”; and there was light. If light was not created, the physical matter could have simply existed as dark matter. I describe luminosity, the quality of giving off light as an event of creation. Man, the multicellular human organism exists as a physical, mental, social, moral, and spiritual being. Man’s existence is conditioned by the subjective reality called alternating periods of light and darkness known as day and night, and the unconditioned reality is that of Sun who shines with the same brightness all the time while man experiences Sun rise and Sunset. Na Mrityur, na Shankaa, na mey Jaati BheydaH; Pitaa naiva, mey naiva Maataa, na Janma, na Bandhur, na Mitram, Gurur naiva SishyaH, Chidaananda RuupaH ShivO aHam, ShivO aHam. Chidaananda RuupaH ShivO aHam, ShivO aHam. The word individual is derived from Latin, ‘Individualis’-that which is not divided-an individual. Individualism can be defined as follows:1. a belief that stresses the primary importance and worth of each person and in the virtues of self-reliance and personal independence, 2. the principle or practice of maintaining individuality or independence of the individual, 3. the principle or habit of or belief in independent thought or action, 4. the conception that all values, rights and duties originate in individuals, 5. a doctrine that the interests of the individual are or ought to be ethically paramount, and 6. the pursuit of individual rather than common or collective interests. The doctrine of Individualism may support a view that the interests of the individual should take precedence over the interests of the State or Social Group. Indian Culture views human existence in absolute individualistic terms and the legacy of Indian Culture could be described as ‘INDIVIDUALISM’. Bhagavad Gita, Sankhya Yoga, Chapter II, Eternal Reality of Soul's Immortality, Verse 12: Na tv evaham jatu nasam, na tvam neme JanadhipaH; Na chaiva na bhavisyamaH, Sarve vayam ataH param. Purnasya purna maadaya, purna meva vasishtyate. “That”( is an indefinite term to designate the Invisible Absolute ) is Whole( Perfect Substance with Perfect Nature and Quality ); “This” ( the visible, the phenomenal embodied Soul ) is Whole, from the ( invisible ) Whole comes forth the ( visible ) Whole. Though the visible Whole is derived or deducted from that invisible Whole, yet the Whole remains unaltered and both retain their Perfect Condition called Whole. The human entity is virtually trapped in a repeated cycle of birth, death and rebirth.The ultimate purpose of human existence is to achieve ‘MOKSHA'( LIBERATION ) or MUKTI( RELEASE ) from this cycle that is referred to as ‘SAMSARA’. The Knowledge of Self provides the Knowledge of Absolute Self. Bhargo Devasya dhee mahi dheeyo yo nah prachodayaat. The individual while firmly establishing his individuality also takes complete responsibility for his actions.The individual bears the burden for his own actions. The individual strives for self-reliance, learns to minimize the importance of all external relationships and concentrates upon developing an intimate relationship with his personal God.The following prayer is one such example of an individual’s journey on the path of devotion( BHAKTI ). Tva meva vidya, dravinam tva meva, Tva meva sarvam mama Deva Deva. Devotion to God practically takes over, replaces and consumes the need for any other kind of external relationship such as man’s relationship to his mother, father, relatives, friends, and educational and material status. THE VICTORY OVER DEATH - BREAK THE PEDICLE OF ATTACHMENT - THE DOCTRINE OF INDIVIDUALISM. Urvaaru kamiva bhandha naat mrutyor muksheeya amrutaat. Chidaananda RupaH ShivO aHam, ShivO aHam. Thus Indian Identity is none other than the identity of “SHIVA” whose Individualistic Identity is described as Sat+Chit+Ananda. 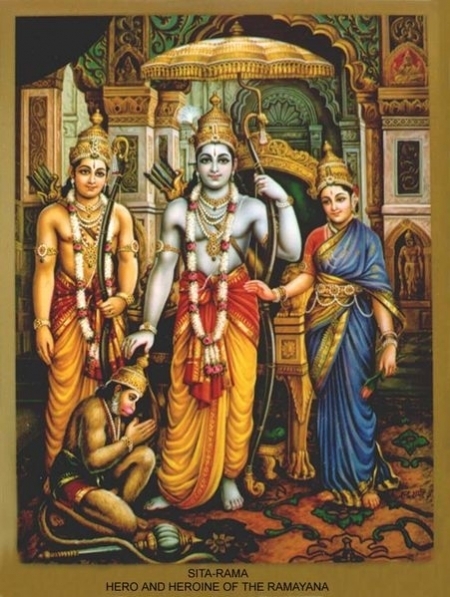 In the Epic Poem of Ramayana, each principal character behaves as an Individual and each decides upon a course of action to uphold the principles of Satya and Dharma. In the Epic Poem of Ramayana, the concept of Individualism is vividly portrayed. Rama alone was required to live in the forest. He could have just refused to do so. No force upon earth could have moved Him but He made His own choice. Lakshmana made His own choice and had accompanied His brother for a life in the forest.Rama made no decision about Seeta. He did not want that She must accompany Him into the forest. Seeta had made Her own decision. All of them express their own personal independence in unique manners. East Block V, Level IV, R. K. Puram, New Delhi – 110 022. Sree Venkatesa Charanau Saranam Prapadey. The land of India is a very unique place on this planet where people are culturally endowed with an ardent desire to worship feet.No other society or social community has openly exhibited this behavioral trait and feet worship could be described as the hall-mark of Indian Identity.This tradition and literal practice of feet worship was well established by the time the epic poem of Ramayana was composed.In AYODHYA KANDA,we read the very moving account of Rama touching the feet of His father Dasaratha and queen mother Kaikeyi after having received the orders for his banishment to live in the forest for fourteen years.Later in ARANYA KANDA,we read about the younger brother Bharata who literally clung to the feet of Rama seeking His refuge.Eventually,Bharata carried Rama’s sandals keeping them on his head and installs them on the throne( PADUKA PATTABHISHEKAM ) and served them with great devotion for fourteen long years during Rama’s exile. Ramayana gives detailed accounts of the Tradition of Feet Worship.Rama had worshipped the feet of His father, mother, stepmothers and His Gurus. Bharata, the younger brother of Rama had installed the sandals(Padukas) worn by Rama upon the throne and had worshipped them for fourteen years. India is the land where you witness people touching the feet of living persons as an act of worship.This is a fairly common event and sometimes the remembrance of such worship lingers in your mind.I would like to narrate one such event that I had witnessed in the past and my act of remembrance may add-on to the blessings these feet worshipers may be receiving even today. I was traveling by train from Rajahmundry to Lucknow City to serve in the Indian Army Medical Corps. I was motivated by a desire to see the land of India with my own eyes and know its people.For the first time, I was traveling in a first class compartment and was the sole occupant. Later in the night, a lady entered the compartment and was apparently traveling alone. She was elegantly attired, looked modest and the picture of an upper middle class house wife. Early morning, when the train had halted at a station, I did not realize that she had reached her destination. She was quietly seated, was not gathering her belongings and was not even looking outside to check if some one had arrived to receive her. After a little while, I had noticed three young men, well- dressed and well-groomed, all of them little older than me, checking the list of passenger names on the door of the train compartment and entered the compartment. They did not pay any attention to my presence. One after the other, they went forward to bend and touch her feet and paid their respects. The behavior of the young men that I was keenly observing was natural, spontaneous and unpretentious. That early morning hour, they were not putting up an act in a public place to impress any one. They acted in a deliberate, purposeful and reverential manner and I am very sure that they grew up in that manner and clearly they were not inhibited in displaying their respect in front of strangers. I was a silent spectator of this scene wherein an unassuming woman suddenly got transformed into a living deity. I can assure you that you would witness such a scene only in the Land of India. Hence, I would claim that the desire to worship the feet of a living person would define Indian Identity. Every deity that Indians seek to worship are better pleased when we worship their feet. 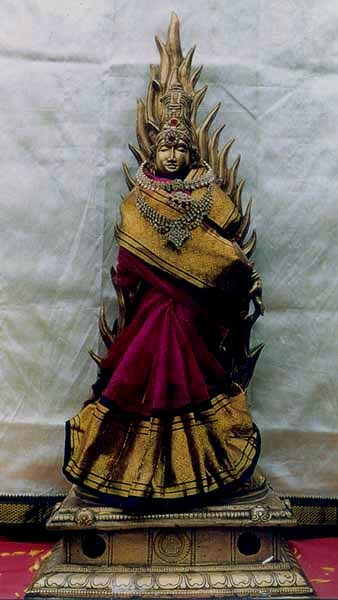 PRAHLADA had described ” PADA SEVANAM ” as one of the nine ways to worship VISHNU. Indians worship feet not only as a sign of humility but also as a mark of submission, total surrender to the will of God. They touch feet as a plea for protection. This is not a mere religious rite or ritual and it actually shapes the attitudes and behavior of people. The final resting place for the individual souls(‘ JEEVATMA ‘)has been described as the Lotus Feet of the Lord. This is described as ‘CHARANAM'( Feet of the Lord ) ‘SARANAM’ ( Ultimate Refuge ). In one great leap of faith,Hanuman jumps over the sea with utmost ease,whereas crossing the sea evokes only a sense of fear in my heart.I derive some hope from the legend about the land bridge built by the army of monkeys.The Sea God had promised that the rocks and boulders used for the construction of the bridge will be held in place and stay afloat.He did that to please Lord Rama.During my journey across the ocean of ‘ SAMSARA ‘,I could use the name “RAMA” and remain afloat. In the fearful journey described as 'SAMSARA', I would use Lord Rama's name as a 'Life Jacket' and also the name serves like a Beacon of Hope and provides a sense of direction while journeying across an uncharted sea. “The fear of the Lord is the beginning of Wisdom” says the Holy Bible,in The Book of Proverbs,Chapter1,verse7.For the religious traditions that originated outside of India such as Judaism,Christianity and Islam,the fear of the Lord could be a primary motivating factor to seek worship of the Lord.On the contrary,the religious traditions that originated in the land of India,do not encourage their adherents to entertain any such fear of the Lord.In the Indian traditions,the Lord or deity that Indians choose to worship would receive them with a sign that proclaims ” BE FEARLESS “.The Lord reassures them with a sign that is popularly described as ” ABHAYA HASTA “or ” ABHAYA MUDRA “.In Indian literature,countless number of images,idols,paintings and drawings,there are invariable references to a consistent message of ” ABHAYA “and naturally Indians are less concerned with ” The fear of the Lord “. The cultural traditions that originated in India motivate people to seek refuge or shelter at the Feet of the Lord by evoking a sense of fear and this fear is described as the fear of ” SAMSARA “.Samsara or Bhava describes the viewpoint about the human condition and deals with the problems of human existence.It contributes to a sense of apprehension and anxiety and the attitude it generates is one of intense fear and helplessness.Samsara portrays the picture of life’s journey as a tedious,difficult and challenging swim across an unknown,uncharted and treacherous ocean.Samsara is also depicted as a serious disease entity afflicting a person’s health and is referred to as ” BHAVA ROGA “.Others view Samsara as existence in a bottomless deep pit(“AGHADHA”)or that of being trapped in a deep well from where an escape would not be easy.The fear of Samsara/Bhava,the human condition,has nothing to do with physical courage.The powerful idea of Samsara inspires a sense of fear in the hearts of even the most courageous of all people.Cultural traditions that have their roots in the other parts of this planet may not be aware of this kind of fear and hence the fear of Samsara could be viewed as a feature that defines and molds the Indian Identity.Indians chant the Lord’s name as a medicine to cure this terrible disease and they seek Lord’s protection to reach the shore and complete the journey across the ocean.There are numerous references in Indian literature and some verses could be quoted to illustrate the point. Human existence faces challenges from several directions. 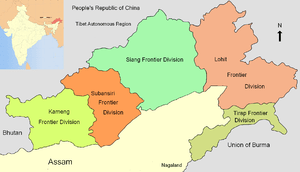 The concept of Samsara is an additional and significant challenge experienced by the people of Land of India. Lord Rama during His life's journey had faced several challenges and His name gives the comfort and protection that I seek while my journey is rough and tough. 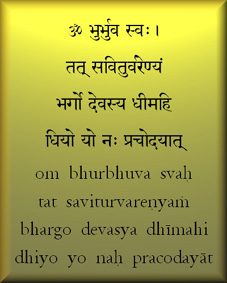 Kaivalya mantra manesam bhaja Rama mantram. This verse would banish the fear generated by the ocean like Samsara. 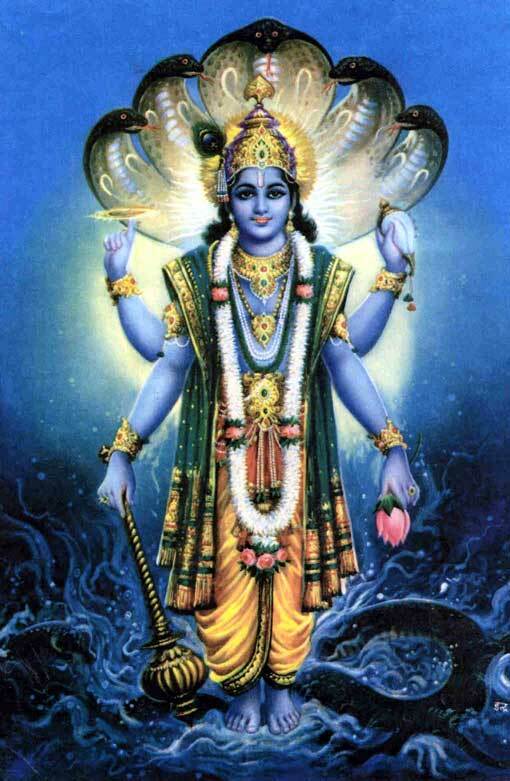 "VANDE VISHNUM, BHAVA BHAYA HARAM" - Salutations to Lord Vishnu, the Destroyer of the Fear of Samsara. Vande Vishnum bhava bhaya haram,sarva lokaika natham. The prayer would destroy the fear of bhava/Samsara. 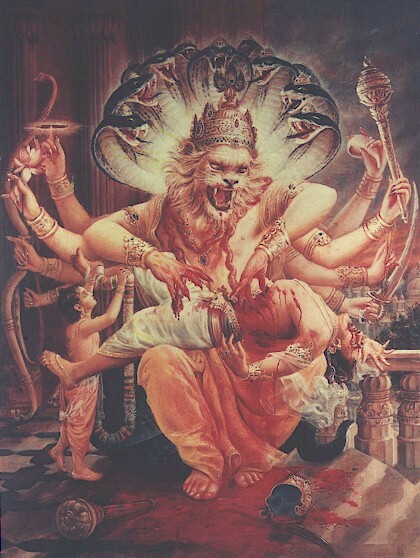 THE UPLIFTING POWER OF LORD NARASIMHA TO CONQUER THE FEAR OF SAMSARA. Laksmi Nrusimha mama deeht karaavalambam. The verse pleads the Lord to extend His hand and physically lift the worshiper from the horrible bottomless well of Samsara. 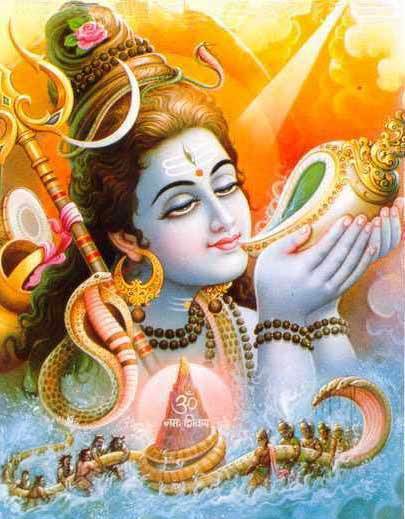 LORD SHIVA, THE PROTECTOR, THE DESTROYER OF ALL FEARS. The verse describes Lord Shiva as the root cause of creation,sustenance and eventual destruction and the Lord’s name is the matchless medicine to wipe out the disease of Samsara. 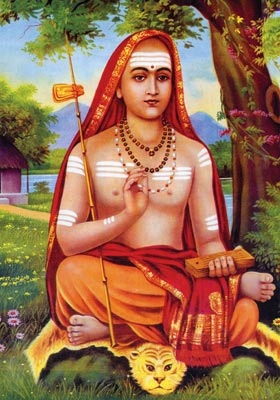 Guru Adi Shankaracharya describes the fear of Samsara and its resolution by seeking protection from chanting the name of GOVINDA. This verse seeks the compassion of Vishnu to reach the shore and to get over the problem of this difficult existence which involves repeated cycles of birth,death and rebirth. SHODASA NAAMA MANTRAM. The Sound Energy of these 16 names would destroy all the polluting effects of our present times. 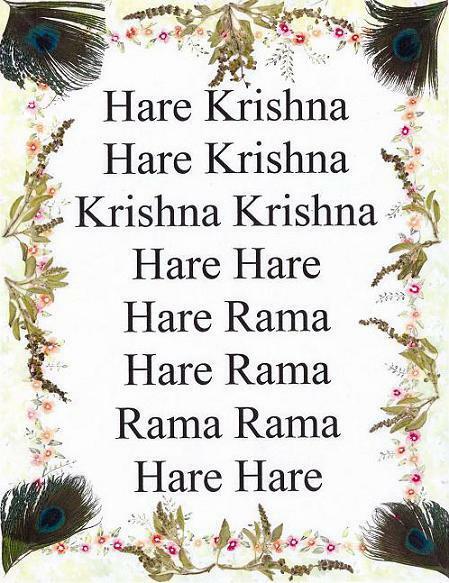 Hare Krishna Hare Krishna-Krishna Krishna Hare Hare. proves the efficacy of this Mantra. NaaTha parataropayaH, Sarva Vedeshu drusyatey. Human existence is beset with countless uncertainties and difficulties which may arrive without any prior warning from different directions in an unpredictable manner.It is rational to approach life with a sense of apprehension and seek the help of the Lord who graciously held His right hand in a show of compassion and receives with a greeting of “ABHAYA” and is willing to banish the fear of Samsara. Nirvighnam Kuru me Deva subha karyeshu sarvada. our goals with a sense of modesty and humility.The primary goals for man have been described as Dharma, Artha, Kama and Moksha. Dharma(right conduct)is not only a goal but also is the way.The other three goals should only be reached following the way of Dharma.To prepare for the journey on the path of Dharma, the traveler finds direction from a sense of humility.The radiant and immense personality of Ganesha endows us with humility. Having reached the goals of Artha(personal wealth ,social status and position), and Kama(fulfilment of desires,progeny and family), we inevitably encounter with the consequences of the powerful effects of time.The following verse from ‘ Bhaja Govindam’ sets us on a mission to seek the fourth goal of human existence. Maya mida makhilam hitvaa, Brahma padam tvam bravisa viditvaa. The fear that time would dissolve every thing we possess would help us to overcome arrogance that may be associated with acquiring wealth, family and being youthful in age. Sooner or later, we set our sights for the fourth goal and it will not be very easy to visualize the final destination.To achieve Moksha or Mukti, to reach the shore of liberation and conclude the journey across the ocean of Samsara, a person endowed with humility would be able to say the following prayer and get the needed help. Human existence is permanently bound to illusionary sensory experience of Sunrise and Sunset. Sun shines with all His radiance all the time. The living entities exist in an illusionary state which helps them to mark their existence by the alternating periods of light and darkness. We do not have the biological ability to detect the spin of the Earth and we have synchronized our existence with Sunrise and Sunset and this biological rhythm, known as Solar Rhythm, Circadian Rhythm, or Diurnal Rhythm, manages several of our biological functions. It is not easy to comprehend the Ultimate Reality when the existence is synchronized with an illusion. Time’s Power of Dissolution would eventually compel us to investigate and to explore the concept of Absolute and Unchanging Reality. A prayer to Lord Ganesha would endow us with humility that we need to achieve the four primary goals and gives us success in life. I would like to narrate my story, describe my ideas, and share my thoughts drawing inspiration from Lord Rama and it would be my endeavor to destroy the state of conditioned existence called ‘Bhava’, and get over the fear of ‘Samsara’, a journey of the embodied soul across uncharted sea which constantly evokes a sense of fear of the unknown. Maharishi Valmiki, Adi Kavi, had no formal education. 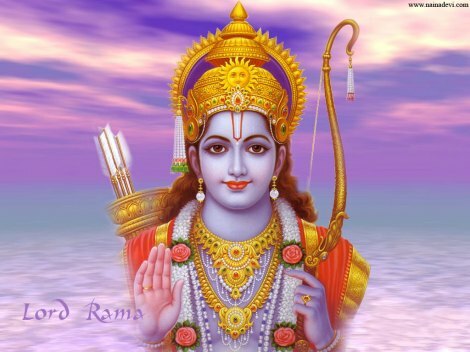 He was totally inspired to narrate the Story of Lord Rama called RAMAYANA. Telugu Poet Bammera Potana who also had no formal education translated the epic poem known as Bhagavatam from Sanskrit into Telugu and displayed his immense powers of Creativity. He had not only dedicated his work to Lord Rama but also acknowledged that every word that he had used was inspired by Lord Rama. For my humble endeavor, I seek the same inspiration. Ta smaat karunya bhaavena,kshamasva Parameshvara.